Waste plastic management is biggest problem now due to their non-biodegradability nature. 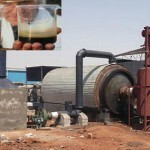 Now conversion of waste plastic into fuel oil is one of the best means of recycling plastic waste. This technology not only protects the environment, but also helps us to conserve the valuable petroleum resources. 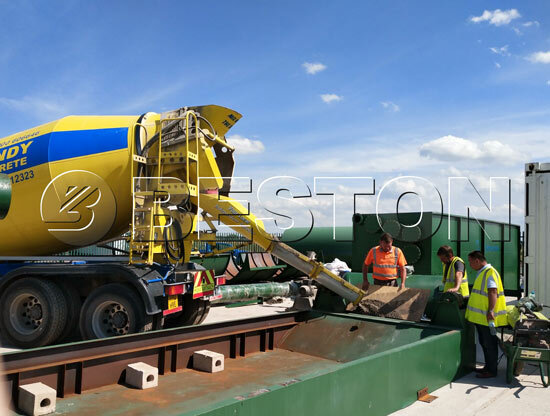 Beston waste plastic to fuel conversion plant adopts the advanced pyrolysis technology, which can be used for recycling plastic into fuel oil and carbon black. 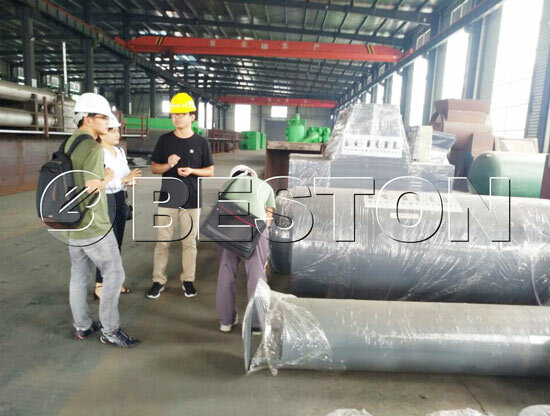 In general, our pyrolysis plants can handle these waste plastics, they are PP, PE, PS, ABS, pure white plastic, plastic brand,pure plastic cable ect. But type of plastics will also effect the rate of conversion of into fuel. 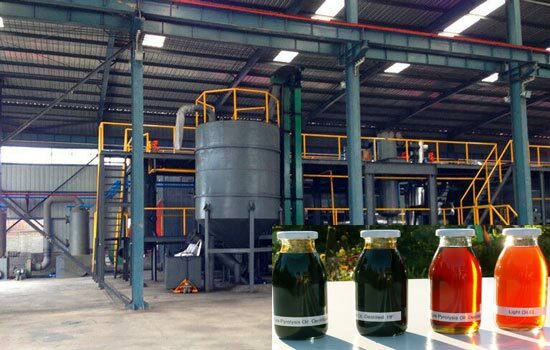 First of all, waste plastics can be put into the pyrolysis reactor directly. 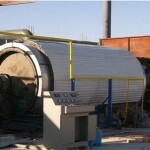 Secondly, heat the reactor by burning the fuel materials such as coal, or wood, or natural gas, oil. 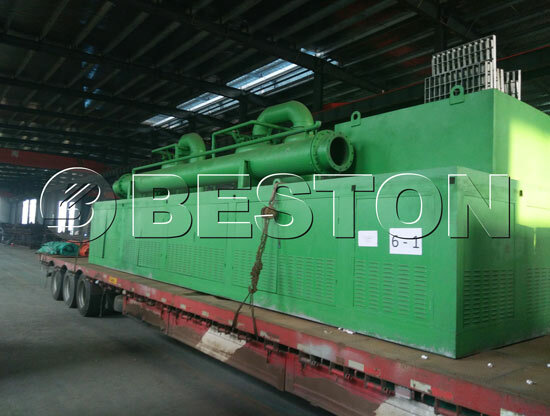 The pyrolysis reactor will be slowly heated, when the temperature reaches around 250 degrees, the oil gas will be generated. Thirdly, oil gas will go into cooling system to be liquid oil. 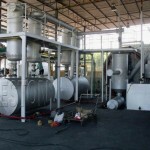 The gas which can not be liquefied under normal pressure will go back to combustion system. 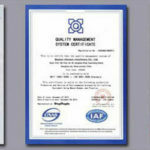 It will replace the fuel material to burn the reactor, which is energy saving and environment friendly. 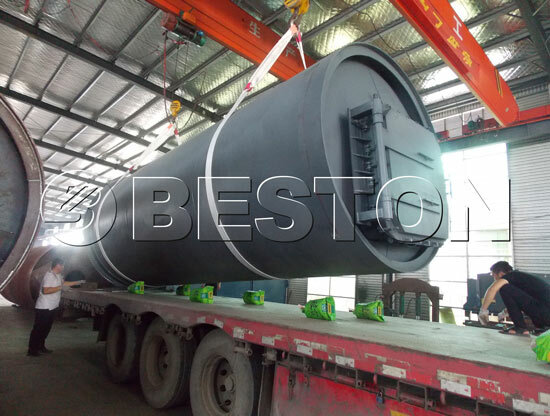 Fourthly, when the oil production is completed, the temperature of pyrolysis reactor will be down. 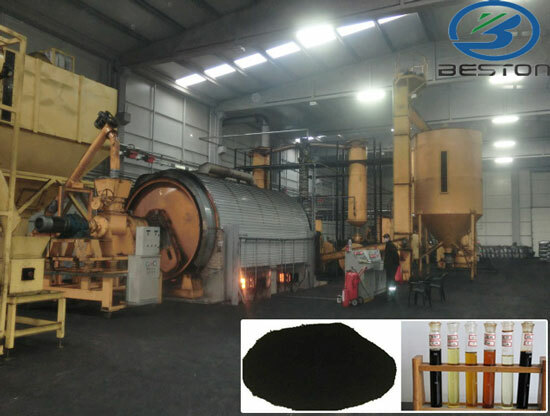 When the temperature falls down to 40 degrees, the carbon black can be discharged automatically. Lastly, the hot smoke produced from the reactor can achieve national emission standard after being processed by the advanced dedusting system. (1) plastic oil from plastic waste can be widely used as fuel oil in industries such as steel and iron and boiler factories, ceramics, power or chemical industries or hotels, restaurants etc., or used for generators to get electricity. 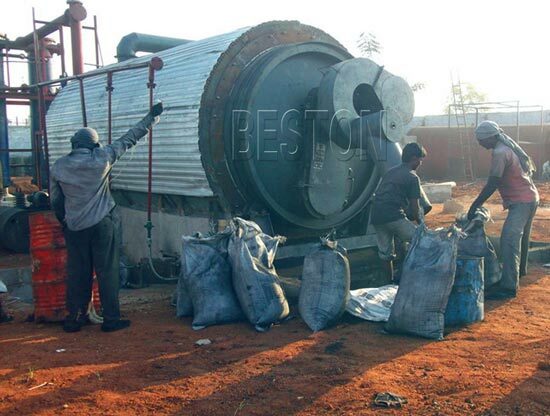 (2)Carbon black can be used for construction bricks with clay or used as fuel. (3)Some combustible gas can be recycled to heat the reactor as fuel, which will save energy for the whole process.